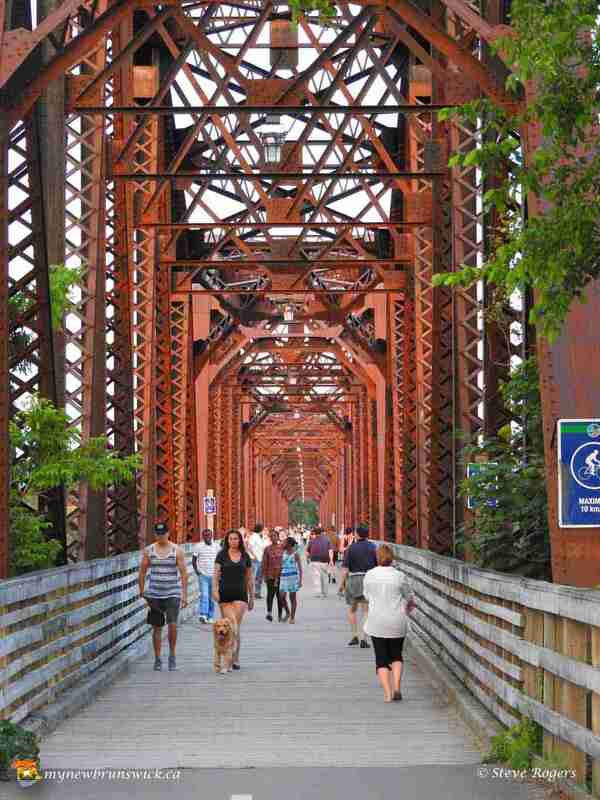 The 1905 foot Fredericton Walking Bridge (the old rail bridge) that connects Fredericton’s North and South sides as it spans across the mighty Saint John River has been renamed Bill Thorpe Walking Bridge. 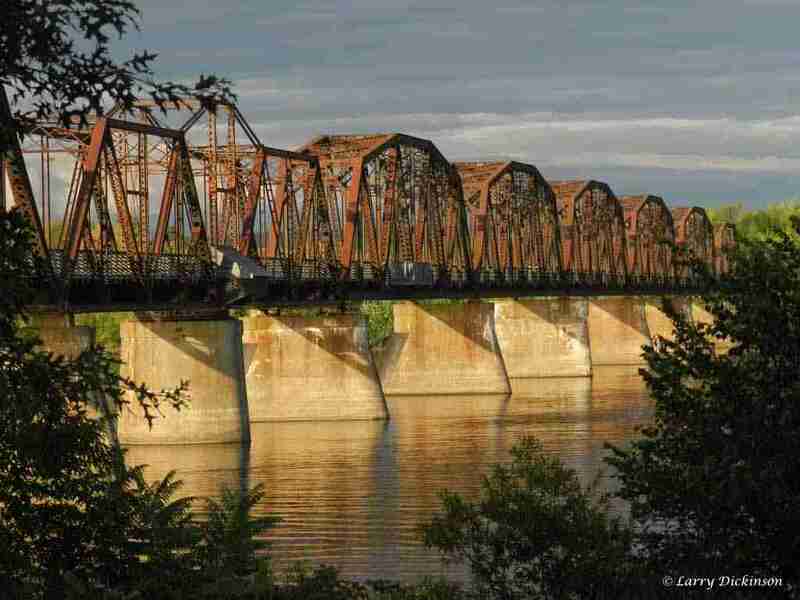 First train crossing Fredericton’s first railway bridge, 1888. 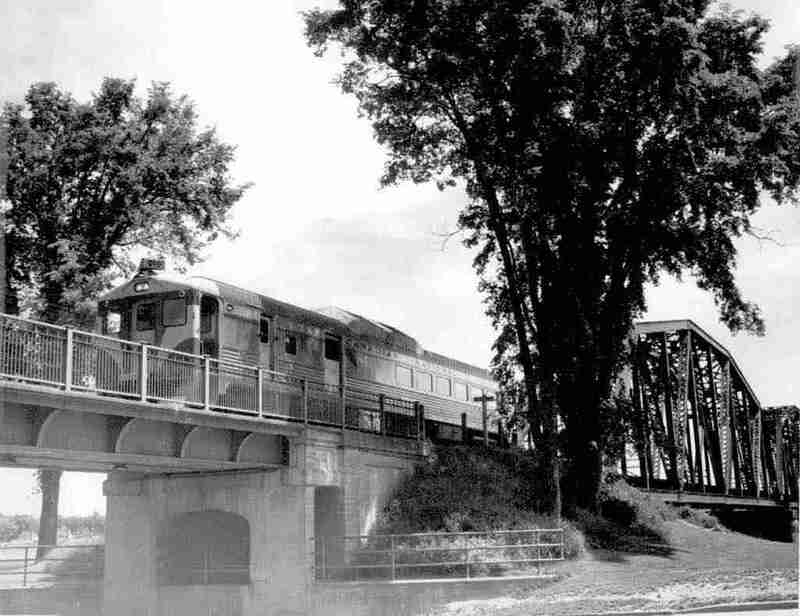 Canadian National train crossing the river in Fredericton, 1954! William Wellington (Bill) Thorpe (1933-2006) was well known for a great many reasons. 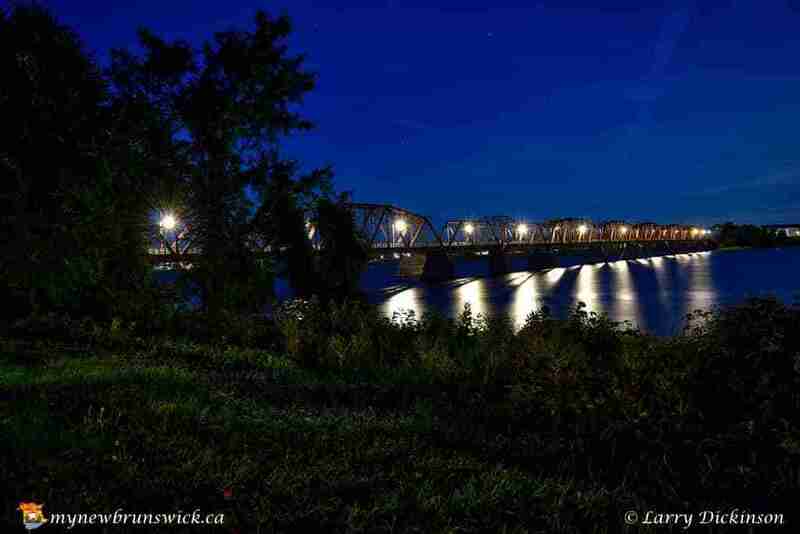 He had an extensive career at the Fredericton High School as teacher and vice principal. Bill was a sports enthusiast and participant, especially with respect to playing, coaching and promoting rugby. A Municipal politician, Bill served as City Councilor and a few years as the Deputy Mayor of Fredericton. 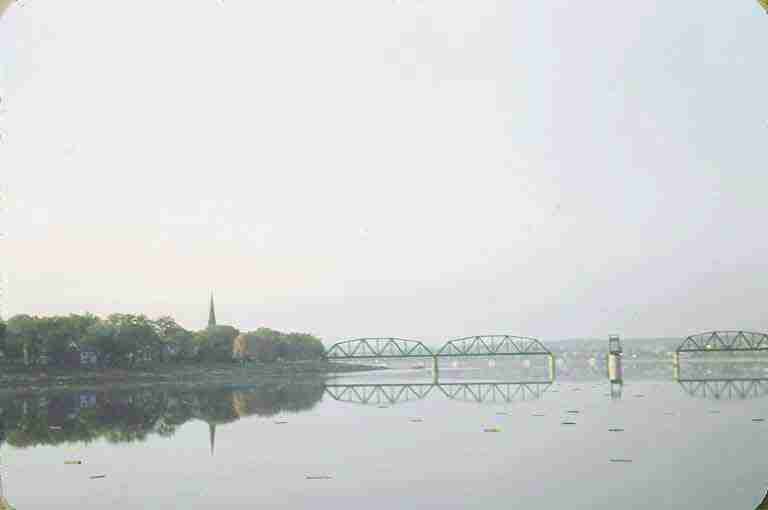 He was founder (1972) and a member of the board for Fredericton Heritage Trust. An advocate of walking trails throughout our city and province, Bill Thorpe was truly the father of the Fredericton Trail System. 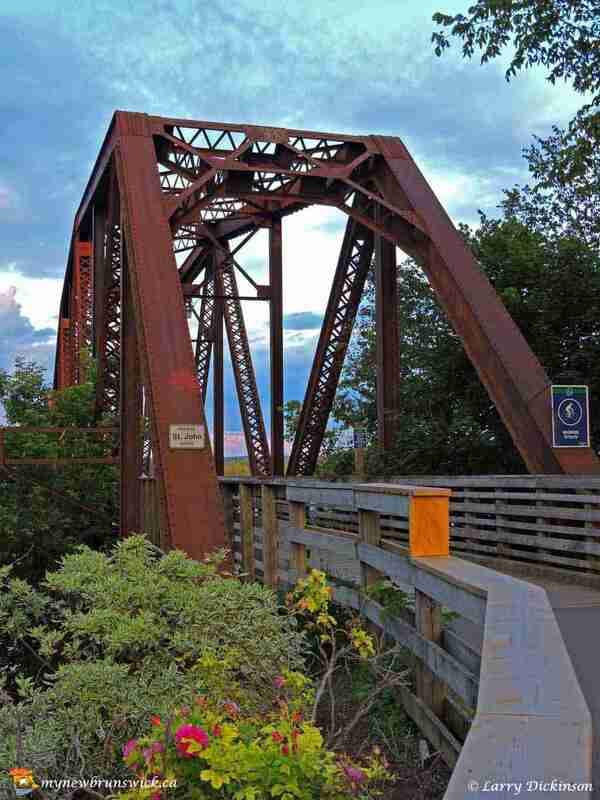 He had a vision to preserve and develop abandoned rail beds into safe recreational pathways for citizens and visitors in the City of Fredericton. To accomplish this, he gave birth to the Fredericton Trails Coalition and surrounded himself with colleagues who were inspired by his dedication, hard work and stubborn determination. His contribution has created a superb legacy to Fredericton’s rich heritage: a first class trail network. 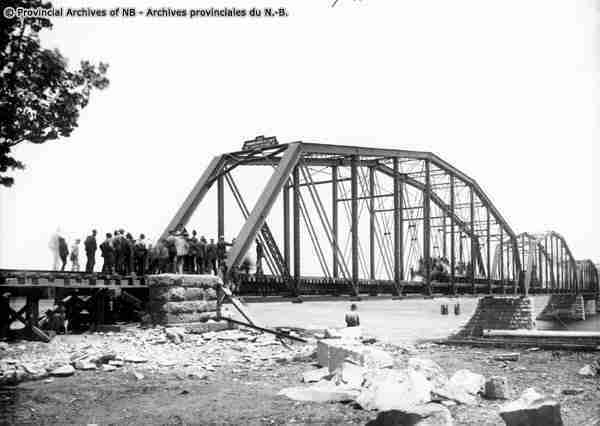 Fredericton train swing bridge span open in 1943. Photo: Dr. William MacIntosh. This post has already been read 1612 times!